William Sheldon is the man behind somatotypes. Somatotype in simple words refers to body types. And there are three kinds of somatotypes developed by William Sheldon in order for us to understand more about our body types. Endomorph. People with this kind of somatotype store fats. They can easily be recognized because they have wide shoulders and large bone structures. They are fun to be with because most of them are enthusiastic. There are studies about this somatotype showing that most of them have good voices or excellent in singing. They also have good sense of humor and you will feel optimistic most of the times when you are with them. 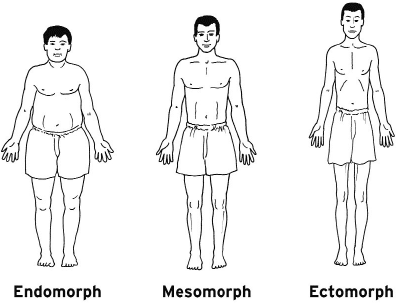 Mesomorph. These are muscular people. They do not store fats and they are very athletic. They can perform different kinds of tasks with their strength. They can also persevere under heavy duties. Mesomorphic peoplehave good body built. Ectomorph. These are thin people unable to store fats in the body. They are quite intelligent and artistic by nature. They are good academically. These do not necessarily apply to all people 100%. Characteristics may vary and these are just bases for determining what could possibly be the attitude of someone who belongs on a certain category. You have to know yours and prove it right or wrong. William Sheldon is brilliant when he developed a theory with the use of somatotypes. There are so many things that you can learn about human behavior if you will spend time reading about psychology related articles.